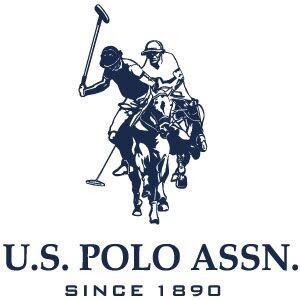 Greenwich, CT (September 22, 2017) – The 2017 high-goal polo season has come to an exciting conclusion with the 2017 East Coast Open victory by team GSA. 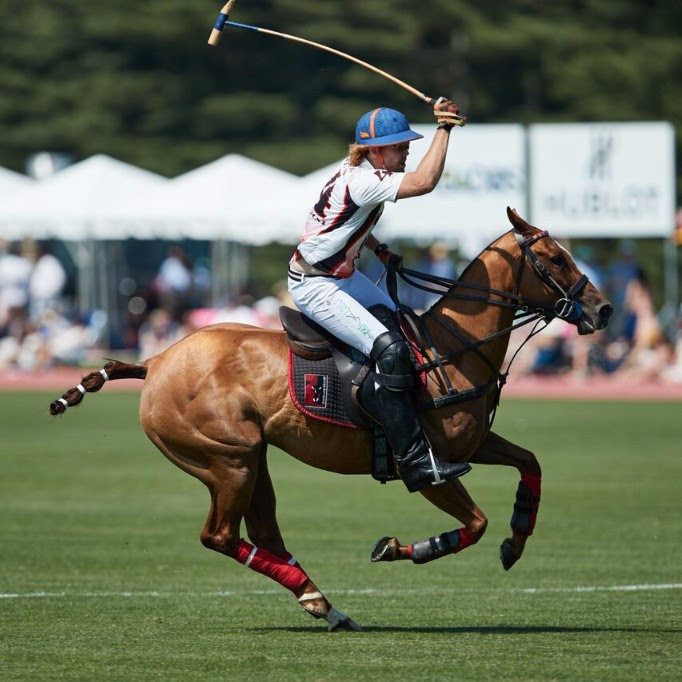 A sellout crowd witnessed GSA's first major 20-goal win, resulting in a 10-9 final score. 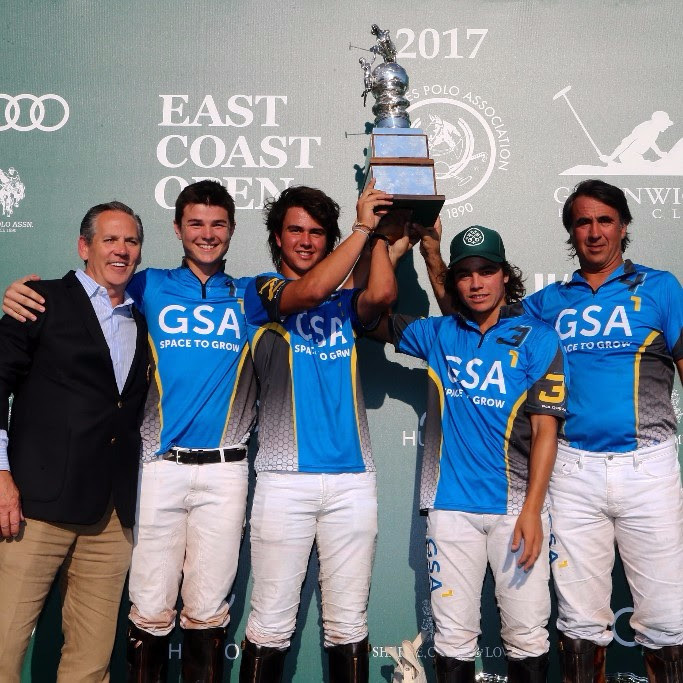 The young stars of GSA team, under the guidance of veteran and former 10-goaler Matias Magrini, defeated team Audi and Museum of Polo Hall of Famer Mariano Augerre who has a record 10 ECO titles. 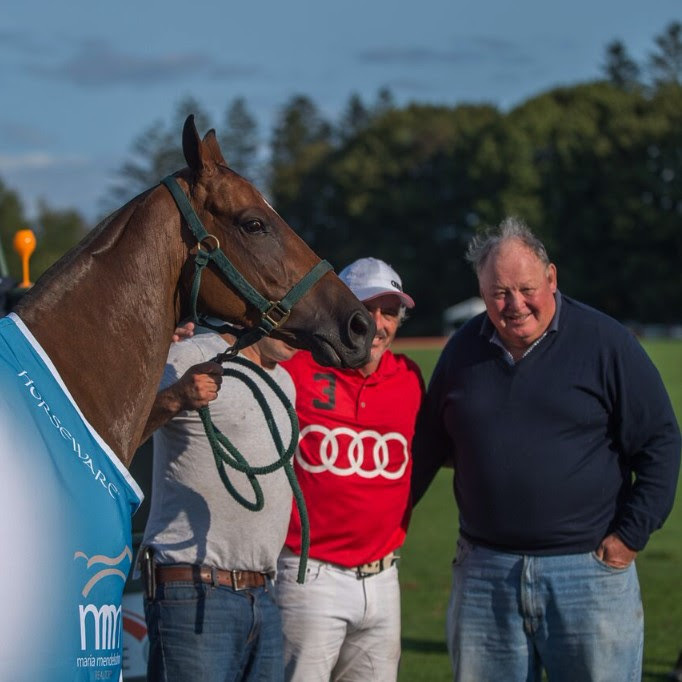 In the Tommy B. Glynn Subsidiary Cup Postage Stamp Farm defeated Hublot to 13-9 to take third place, solidifying an impressive season for the team from Florida led by patrona Annabelle Gundlach. 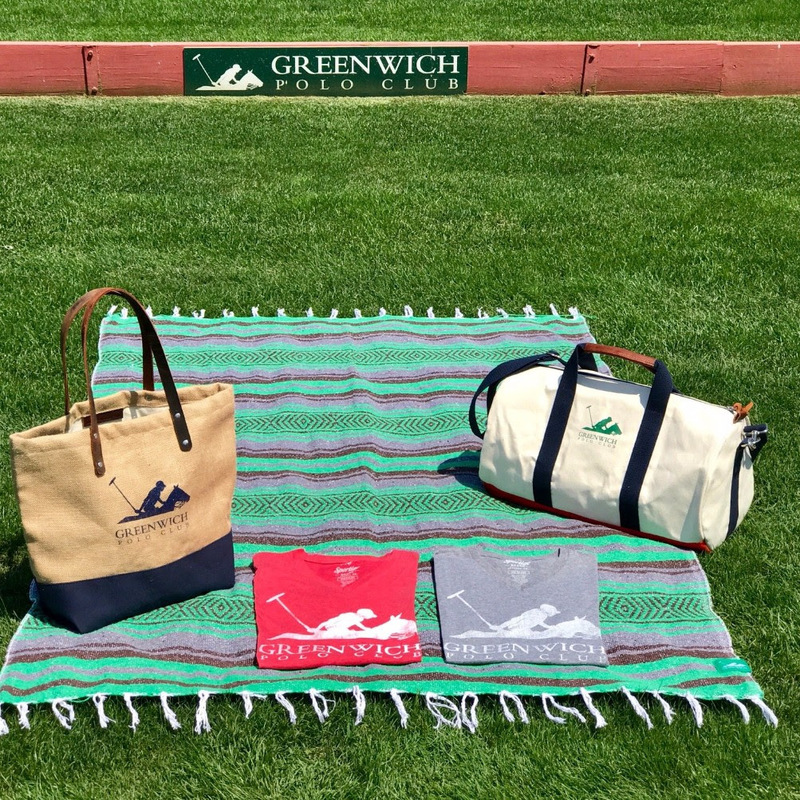 The 2017 season at Greenwich Polo Club was spectacular thanks to our amazing teams, fans, partners, sponsors, and enthusiastic followers from all over the world. We are truly honored by your overwhelming support and look forward to a continued success with each of you. 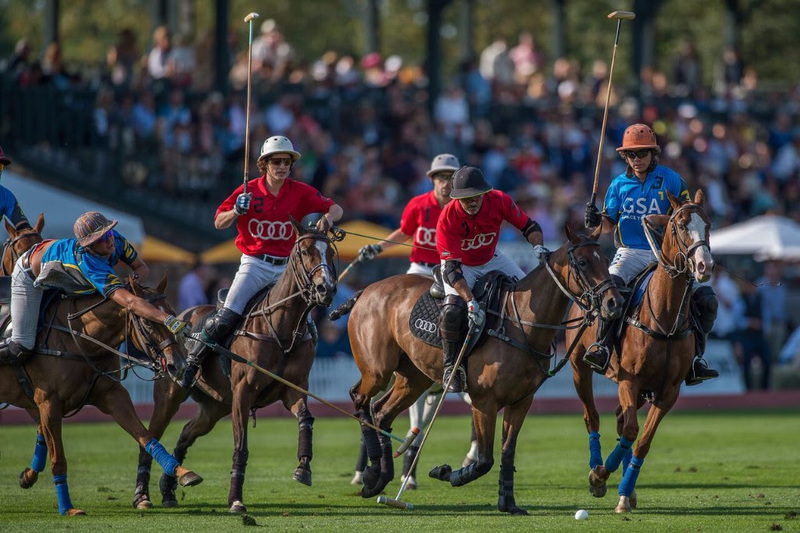 Check out some of the tournament highlights and sneak previews of what to look out for in 2018! 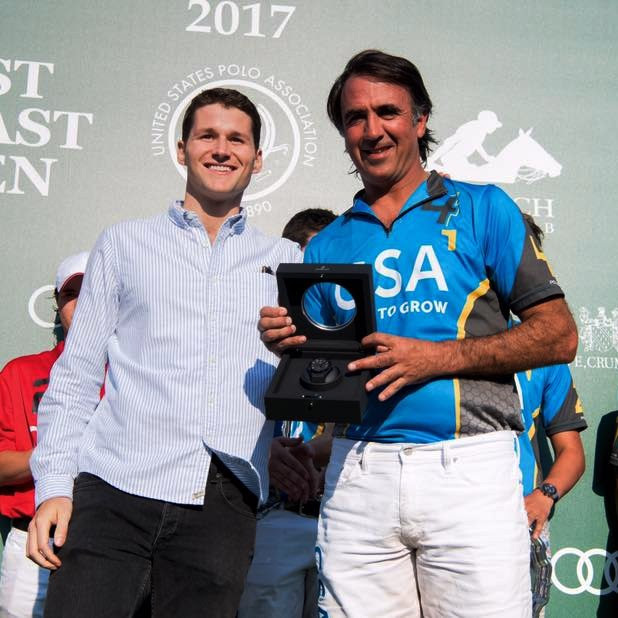 The 2017 Hublot MVP was awarded to Matias Magrini, the Classic Fusion - Black Magic Hublot timepiece was presented by Brad Walker, of Shreve, Crump & Low. 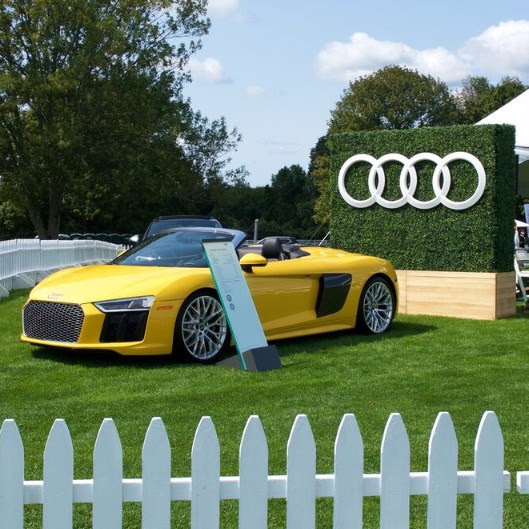 A very special thank you to Audi USA for partnering with the East Coast Open! 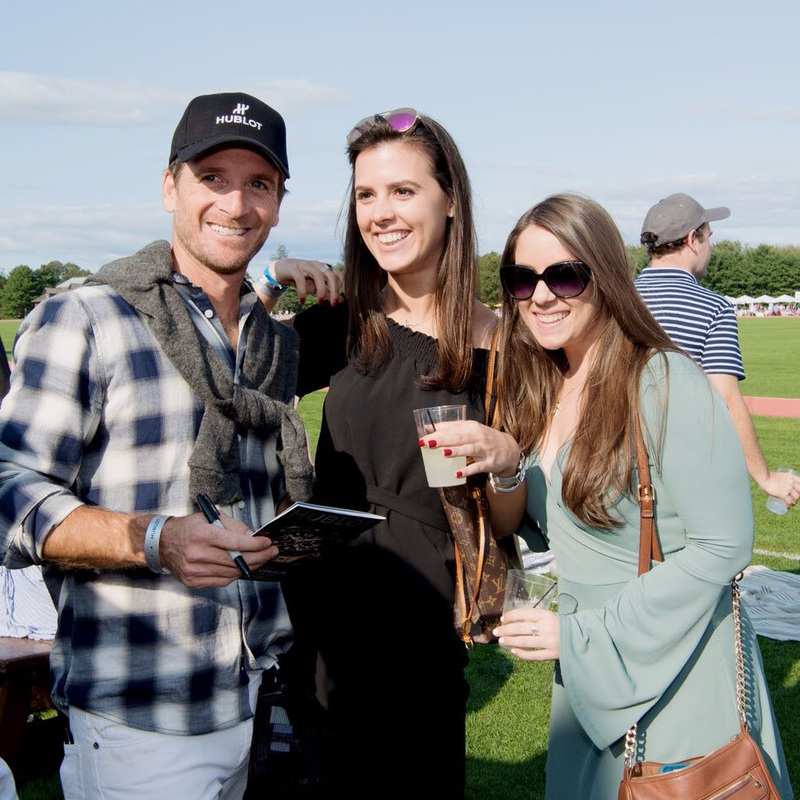 Audi hosted a fabulous VIP with great cars and polo fans who enjoyed a meet and greet with the Audi Team! 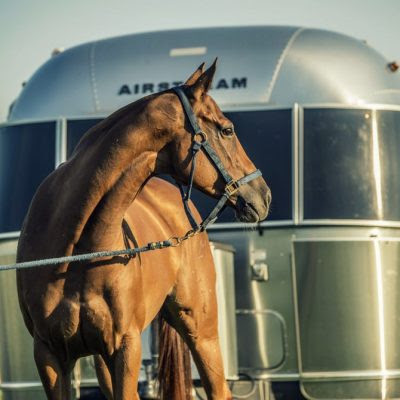 Machitos Tere was the 2017 East Coast Open Best Playing Pony, presented by Maria Mendelsohn, owned and played by Mariano Augerre in the 5th chukker. 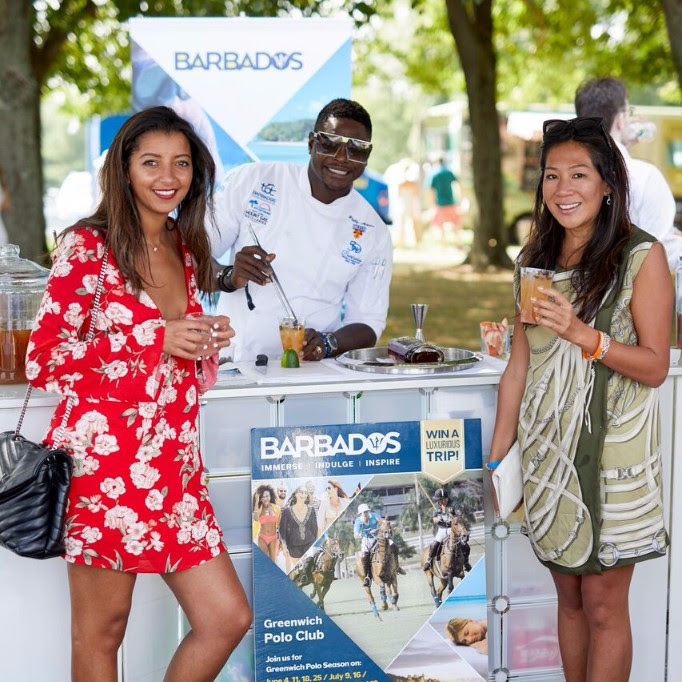 Thank you to Barbados for sharing your delicious island flavors, our fans thoroughly enjoyed it! 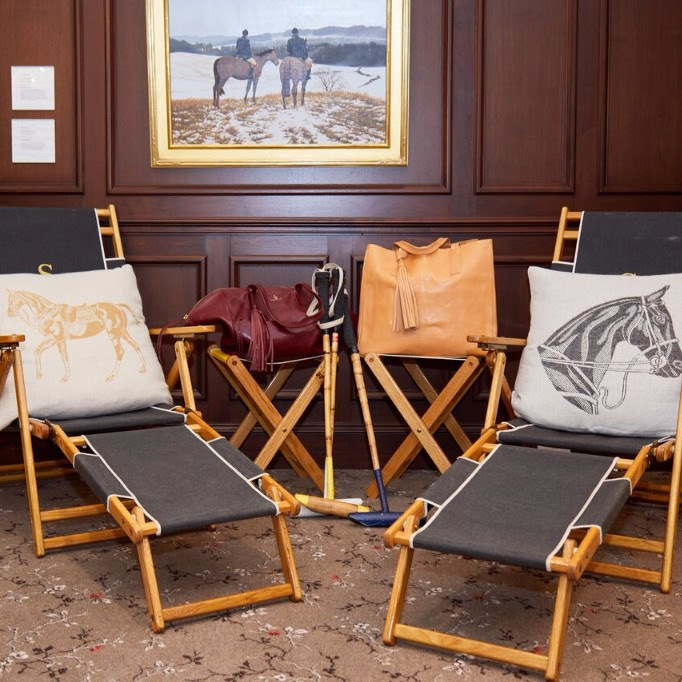 We look forward to the Barbados polo season and to welcoming Barbados at Greenwich in 2018! 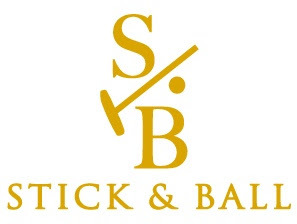 Greenwich Polo Club has a special “gift with purchase” offer to our loyal fans form polo inspired lifestyle brand Stick & Ball. 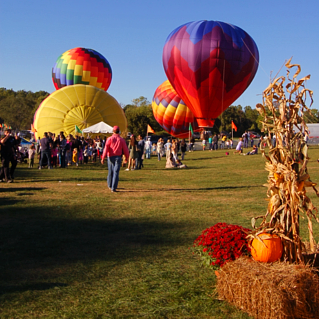 Get your holiday shopping in early! 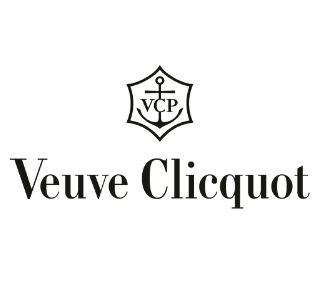 Shreeve Crump & Low co-hosted a VIP event with Hublot and gave fans the chance to meet with players and view the timepiece showcase by Hublot. 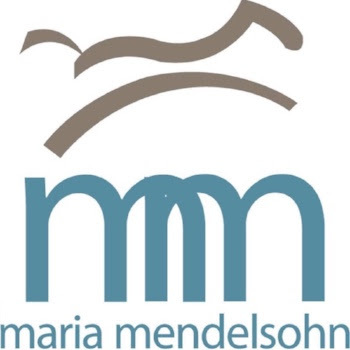 We are now evaluating partners and sponsors inquiries for the 2018 season, each category is exclusive so don't wait!